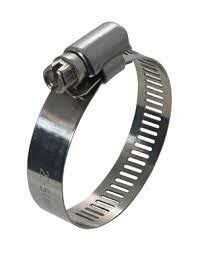 Our company is one of the proficient Manufacturers and Suppliers of Worm Drive Clamps in Haryana, India. Our Metal Worm Drive Clamps are fabricated with the use of the supreme quality metal because of which they have long functional life. We are known for providing reusable, non-magnetic and compact design Industrial Worm Drive Clamp, which can easily withstand rust and acid. We can process bulk orders.